CLEARFIELD – Area businesses have teamed up to teach students that small communities can still provide a bright future. 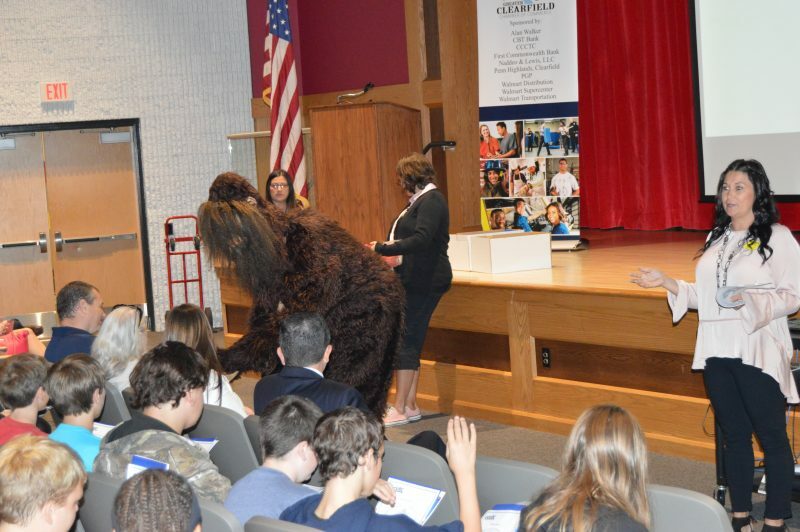 On Monday, eighth grade students at the Clearfield Area Junior-Senior High School had the opportunity to participate in the first of several presentations designed to explore career opportunities in the Clearfield area. Kim McCullough, executive director of the Greater Clearfield Chamber of Commerce, said the goal of the program is to keep the area’s young people in the area after they graduate from high school. McCullough said at a recent board meeting, members of the chamber began discussing the lack of young people in the area. She said the board decided to team up with area businesses to raise funds for the Middle School Explorer Club program. McCullough said invitations were sent out to businesses and within two weeks, the chamber was able to raise enough money for the program. According to information from the Exploring Web site, the program was developed by the Boy Scouts of America and is designed to help eighth grade students make informed decisions about their future by exploring different career opportunities. The students have the opportunity to meet with career and community leaders to gain real-world experience in various career fields. McCullough said the chamber is looking to provide mentoring opportunities for the students, which goes beyond lecturing. She said the program is also beneficial to businesses and industries in the area as a means to grow a future workforce. McCullough said students in the eighth grade are mandated to participate in career-based interactions during the school year. She said the Exploring program helps fulfill that requirement. 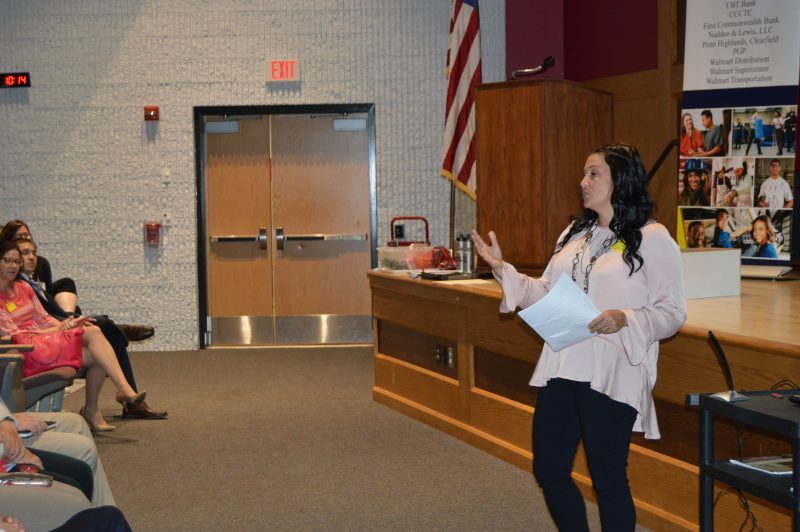 At Monday’s program, the students heard from Dr. William Curley and Valerie Dixon of the University of Lock Haven, Clearfield Campus, and Holly Ryan and Jessica McKendrick of the Clearfield County Career & Technology Center. The speakers discussed career opportunities in both post-secondary education and in the vocational/technical trades. The students learned the importance of continuing their education after high school, whether through university degrees or vocational certifications. The speakers also discussed how students can earn credits toward their college education through the dual enrollment programs. Ryan and McKendrick added that students have the opportunity to attend the CCCTC for free during their 11th and 12th grade years. The students can learn trades and even earn their certifications. Following high school, the students can continue to expand training in those fields, or they could move on to a two-year or four-year college. 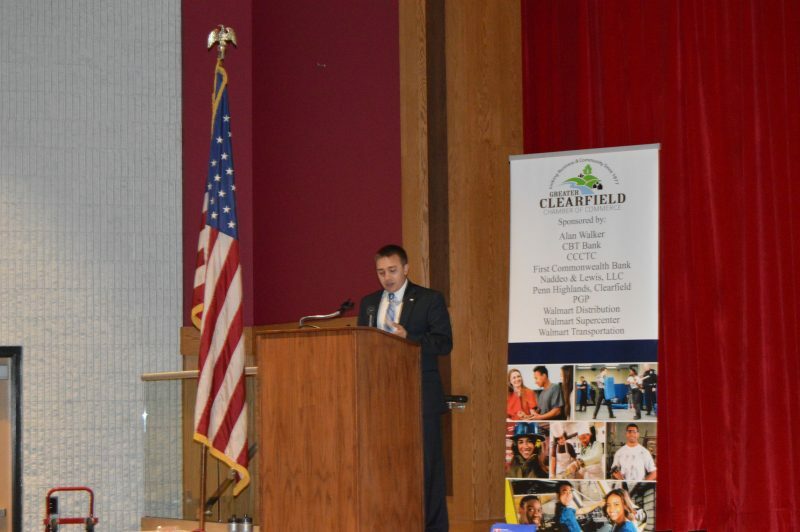 All the speakers stressed how continuing education has evolved to meet changes in technology, and invited the students and their parents to learn more about what Clearfield Lock Haven and the CCCTC have to offer by attending upcoming open house events. 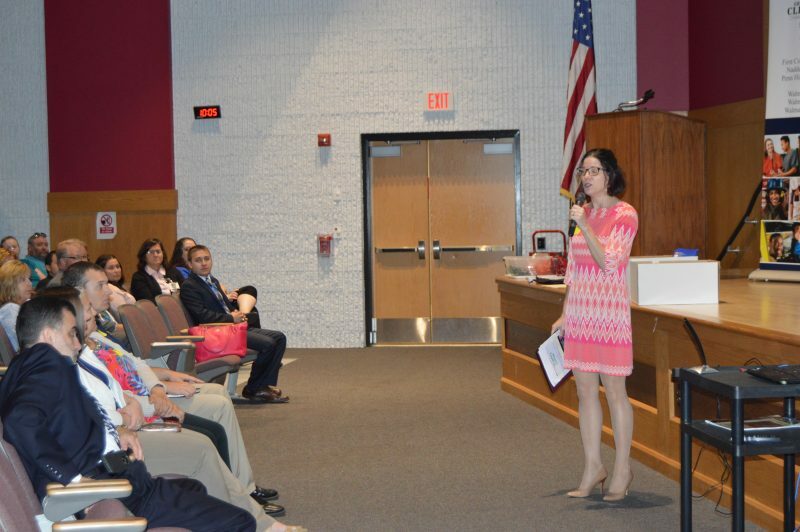 Following the program, McCullough said she is hopeful more local businesses will want to become involved, either by sponsoring the program or by participating in future presentations. For more information, call 814-765-7567 or e-mail info@clearfieldchamber.com.